Big things happen in Dallas. So why not get hitched in this marvelous city? 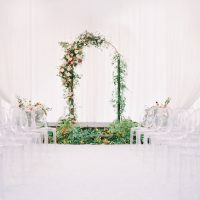 Let’s face it, wedding planning can be difficult, so if you know that you want to get married in Dallas, but are still trying to find the perfect venue, don’t worry! We’re here to help! 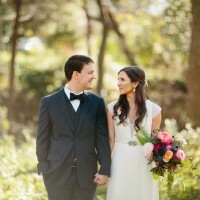 Below you will find a selection of our favorite venues in Dallas to say “I do” at. This magnificent resort has several romantic places to hold a ceremony, including an azalea garden and several glimmering ballrooms. However, our absolute favorite ceremony site is located outdoors next to a bubbling waterfall with rolling hills in the background. This location never ceases to impress us, as their service is also impeccable. Also, the photos taken here are always outstanding! 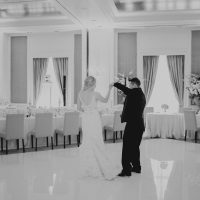 For brides and grooms who want a more modern and artsy venue look no further than The Joule. Located in a historic 1920’s building, The Joule provides service with a funky and chic spin. The rooftop boasts an incredible view of the Dallas skyline, which makes for an amazing modern ceremony site! This is the ideal venue for brides with a fairy-tale wedding in mind. This luxurious hotel features aesthetics with European influence including Welsh slate roofing and Italian and Spanish Marble. In addition to offering bridal showers and rehearsal dinners, you can also select a bridal party spa treatment to ensure that everyone can relax before the big day. You can also opt to have a post-wedding brunch! 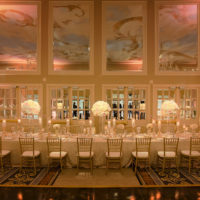 For a timeless wedding with a traditional feel, The Adolphus is a great destination. 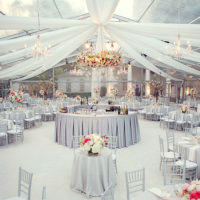 With several ornate ballrooms to choose from, this venue is sure to have just the right location for your bridal needs. Like Hotel Crescent Court, The Adolphus includes a post-wedding brunch option so guests can say farewell to the newly-weds before returning home. This is a great venue for out-of-town guests, as the hotel was recently renovated and provides amazing amenities and charm. 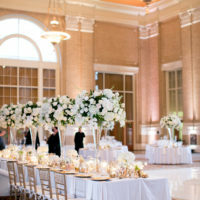 This Dallas landmark is a one of a kind ballroom nestled in the heart of downtown Dallas. 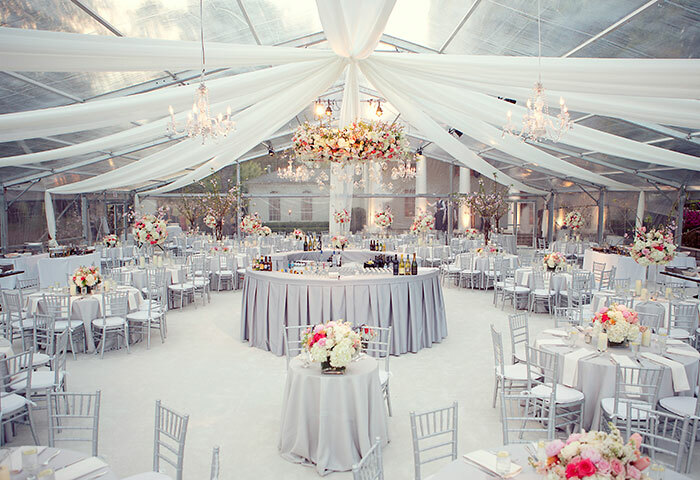 With Wolfgang Puck Catering, their 48 foot ceilings, and the attention to detail their staff has, you can’t go wrong. 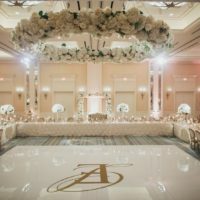 Whether you want your ceremony and reception in one location, or just your reception this space can accommodate up to 600 guests. This venue is super friendly to out of town guests with a climate controlled tunnel in between the Hyatt Regency and Union Station. If you’ve ever dreamed of getting married in a historic mansion, then Arlington Hall is right for you! The mansion sits on a lush 15 acres of land which we love because it gives brides and grooms plenty of wiggle room when creating a guest list. An added bonus of Arlington Hall is that the mansion itself isn’t the only location to perform a beautiful ceremony. There is also the Formal Garden, two Terraces, a stately Portico and The Allman Pavilion to choose from! While the aesthetics are a plus, we also love this venue because of the great Southern-style food provided by the caterer, Food Glorious Food. 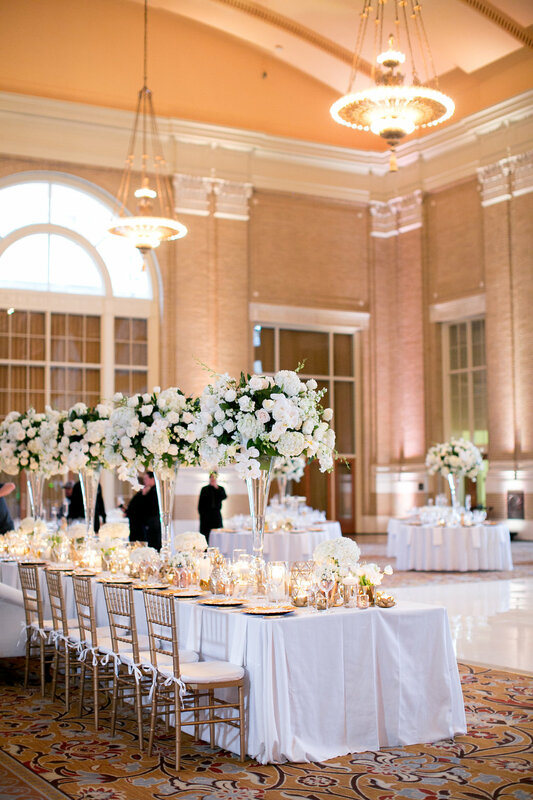 So whether you’re looking to get married in a romantic garden or an extravagant mansion, Dallas has something for everyone. Big things happen in Dallas, so create your big moment here.